If you’re not from the UK, it’s easy to think that ‘only the British’ drive on the left-hand side of the road. And by the same token, British people sometimes think the same – that wherever else they go in the world, they’ll have to drive on the ‘wrong side of the road’. In fact, at time of writing, on roughly one-quarter of the world’s road, it’s necessary to drive on the left. So for the frequent travellers, driving on the other side of the road is something that is quite likely to happen. Many people can get stressed about the possibility but driving on the side that you’re not used to is probably much easier than you think. Confusingly, although most countries have determined that drivers should adhere to one side or the other, some are largely right-hand drive but left-hand drive in certain areas or on certain roads. So driving on the ‘wrong’ side is a skill the frequent traveller should be encouraged to gain. It’s easier than you think. It a lot easy to drive on the wrong side of the road if you’re driving from the wrong side of the car! 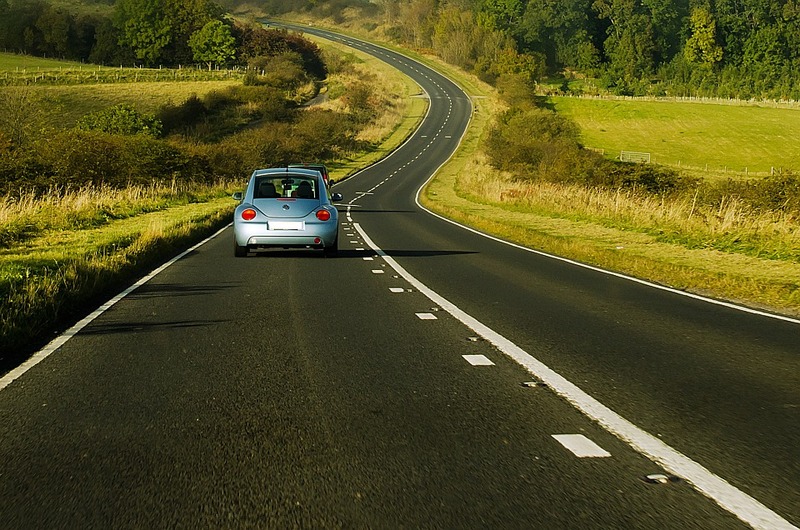 An English person going to the USA, for example, will find driving on the right easier in a US rental left-hand drive vehicle than they would if they took their own (right-hand drive) car to Europe. When renting a car, it’s ideal to get a model or size that you’re relatively familiar with. Some experts recommend that you always choose an automatic but if you’re a dedicated manual shifter then stick with what you know. The rules of the road (road signs, traffic lights, rights-of-way etc.) tend to be the same worldwide but there will be some minor quirks. Turning at red traffic lights is a good example. In some countries (e.g. the USA) you can join the flow of traffic on your side – in Britain, you cannot. Be sure to check. It’s easy to research the rules of the road on the internet. Your country’s motoring organisations will also have advisory leaflets and there’s a wealth of books available with details about driving in other countries. When you’ve stopped for gas, for lunch or to take photographs, this is when you’re in danger of forgetting which side of the road you should be taking. Chances are that your mind will be full of the price you had to pay for the gas, the lunch you’ve just enjoyed or the sightseeing photographs that you’ve just sent to Twitter. It’s so easy at this stage to pull onto the side of the road that you’re accustomed to. rather than the side you should be driving on. Until you’ve practiced, don’t start driving in London, Paris, New York, Tokyo etc. Get used to driving on the wrong side of the road before you even think about attempting busy cities. In most of them, you can park in the outskirts and take a shuttle bus into the centre. Research your options before you go. In Sweden, drivers used the left-hand side of the road until the nation switched to the right in 1967. This created less traffic mayhem than you might imagine. The government planned the switch carefully. Drivers were issued with driving gloves, the left was red (for danger) and the right was black. This was an easy visual aid to help drivers remember where they should be. Driving gloves aren’t exactly de rigeur these days but create your own system to remind you. The chances are that you’re not travelling alone. Swallow your pride and let your travelling companions know that you’d appreciate their help. They can be invaluable, for instance, in reminding you which side of the road you should be on when you pull out of the parking lot. Organise refreshments – cups of coffee, snacks etc. In some areas you’ll find that you’re in one country driving on the left and a border is coming up to a country that drives on the right. If you’re travelling across borders such as this, it’s better to do so during daylight hours and when you are 100% alert and awake.